Portsmouth Bypass - PRIME AE Group, Inc. 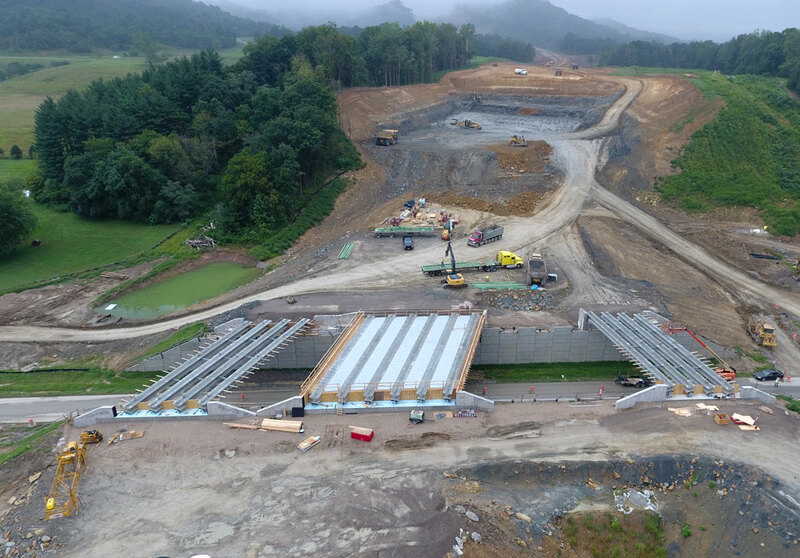 Known as the Portsmouth Bypass, the 21-bridge, 16-mile, four-lane, divided, limited-access highway has been designed around the City of Portsmouth in Scioto County, OH to bypass nearly 26-miles of US 52 and US 23. The new route will provide increased savings of travel time by avoiding numerous access points and traffic signals. PRIME was responsible for the design of Segment 3B, 3.22-miles of the highway. The 3B highway design was split into two separate deliverables, Roadway and Grading. For the multiple iterations of both the roadway and grading design, a 3D model was developed to assist in the construction grading operations. Multiple bridges were designed by PRIME including: Bridge 5-Route 823, a mainline single-span over Slocum Ave; Bridge 13-Route 823, a mainline three-span over Morris Lane Blue Run Road; and Bridge 14-Route 823, a two-span over Flatwood Fallen Timber Road. This project was procured and financed by ODOT as a Public Private Partnership (P3) delivery method.